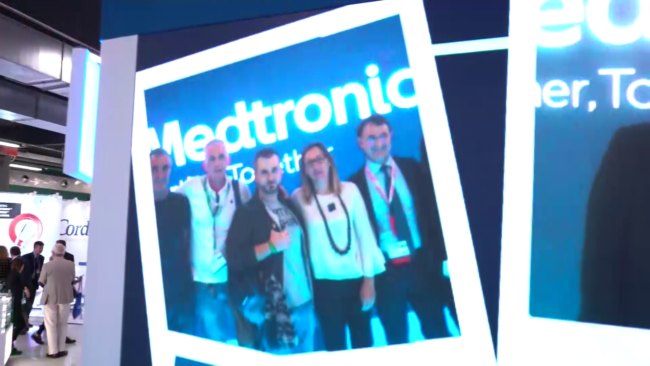 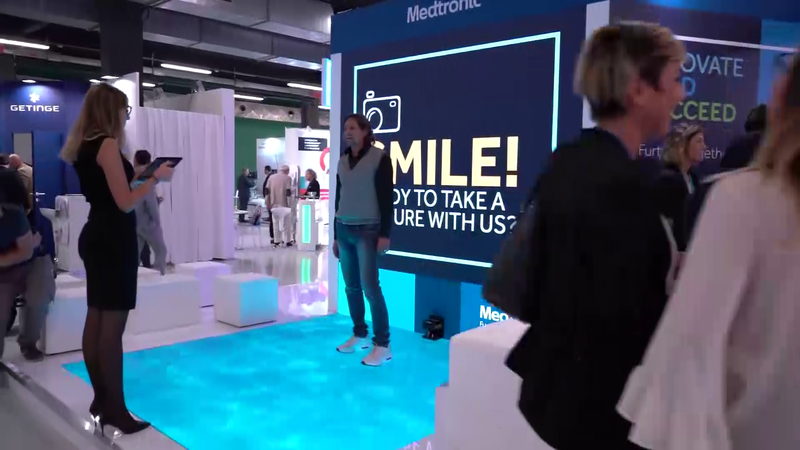 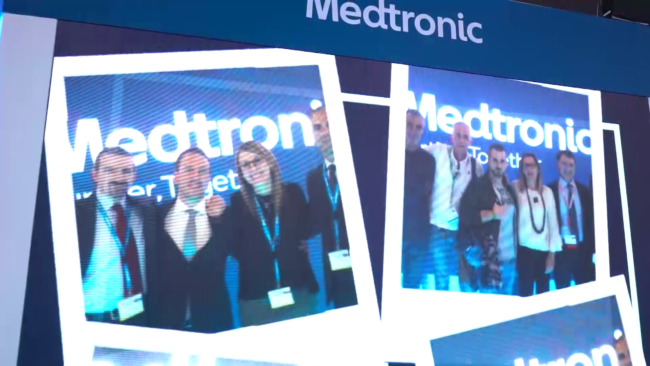 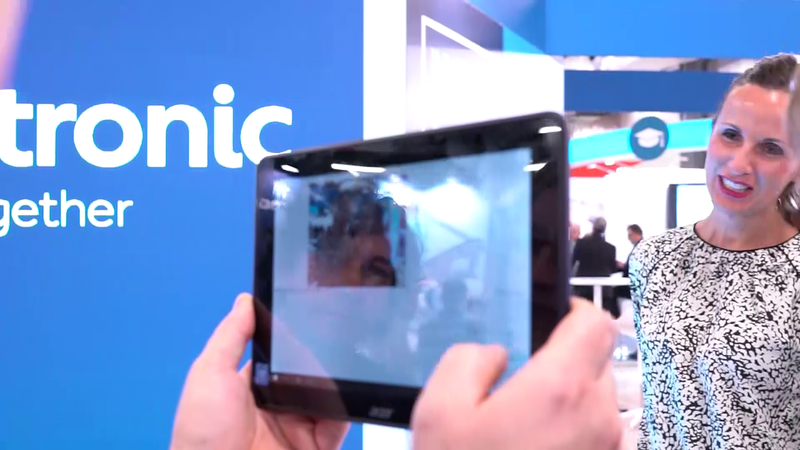 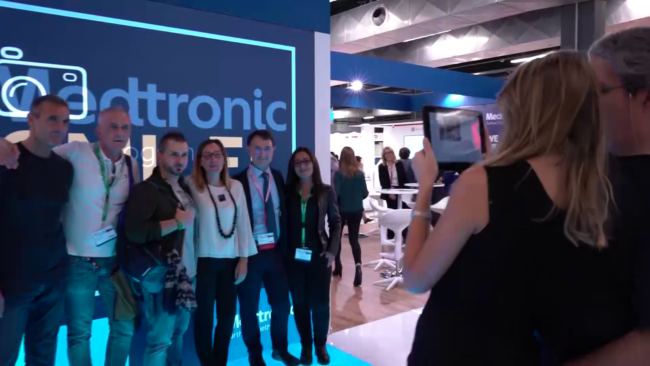 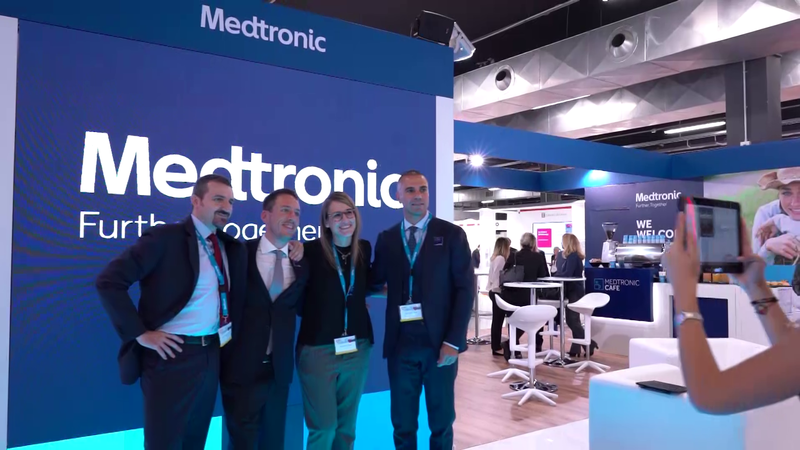 An interactive ambient for the Medtronic Exhibit at GISE 2018. 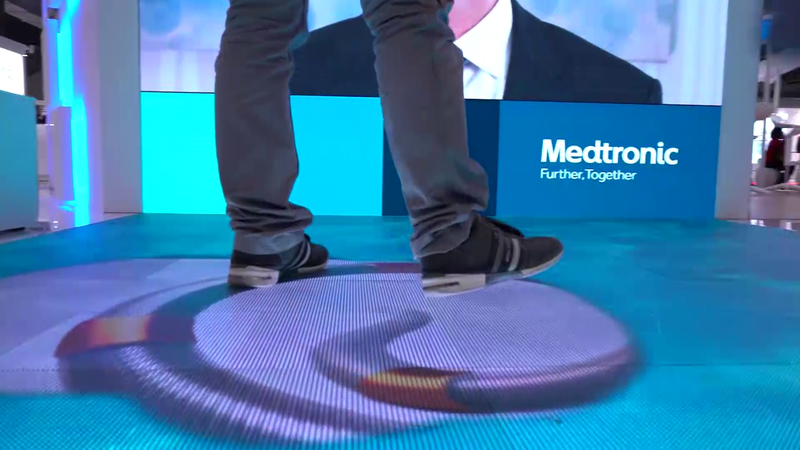 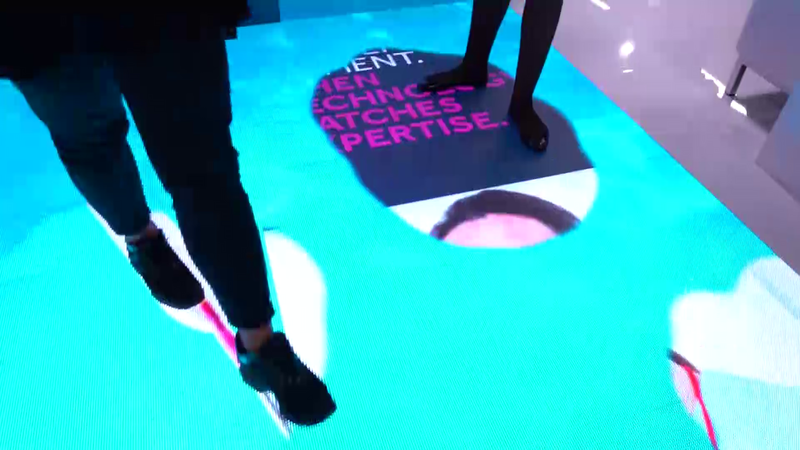 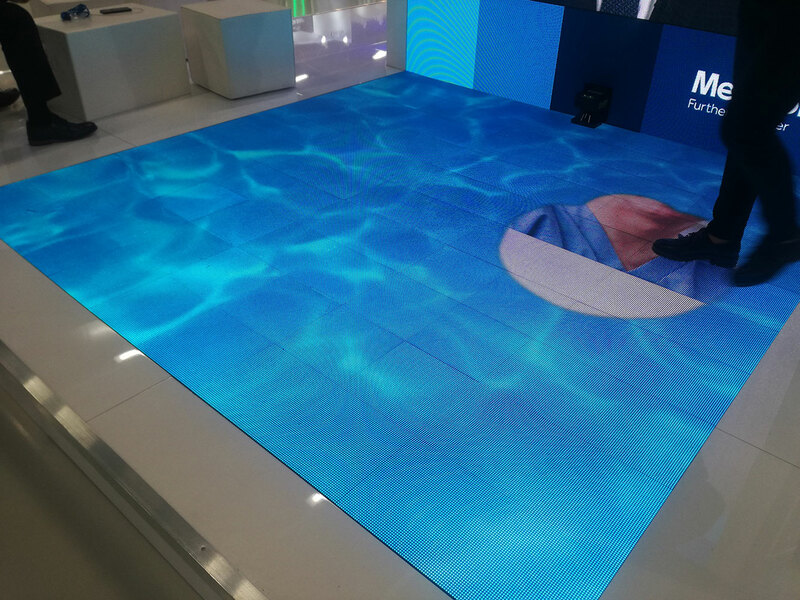 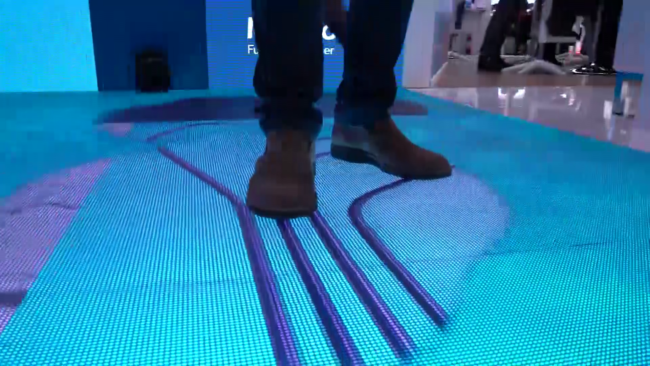 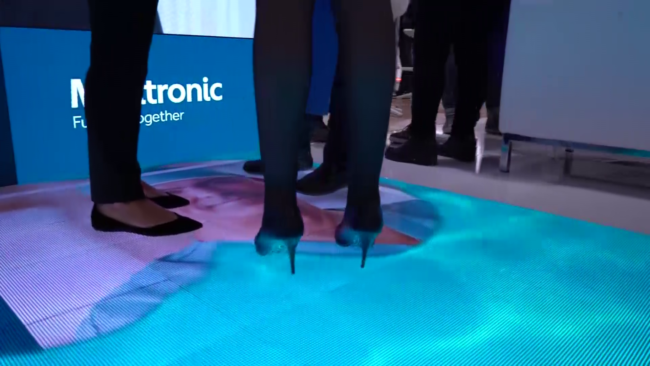 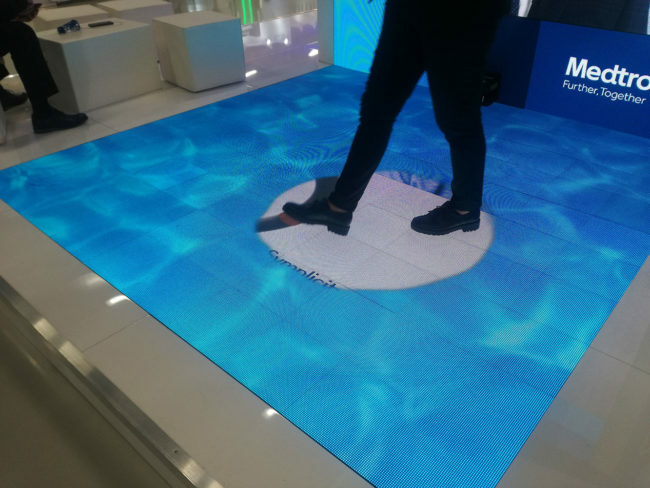 An LED floor shows a layer of water hiding a communication layer. Stepping on the floor you pierce the water layer and see what’s beyind it. Software development, design consultancy, system integration, technical and IT setup. 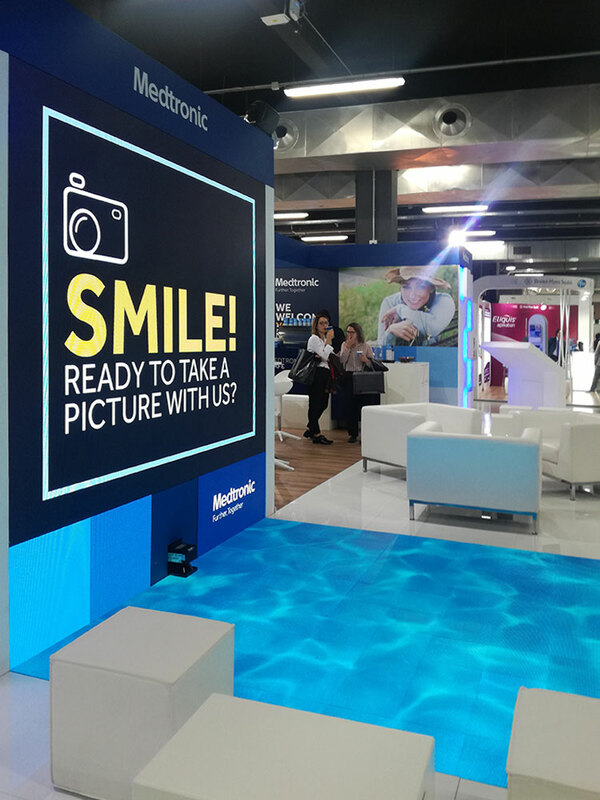 Done for Medtronic with Comunica.